Book A Last Minute Rental At Sand Run Lake 03 "Wildlife"
Come enjoy this peaceful house located in Old Timberline! 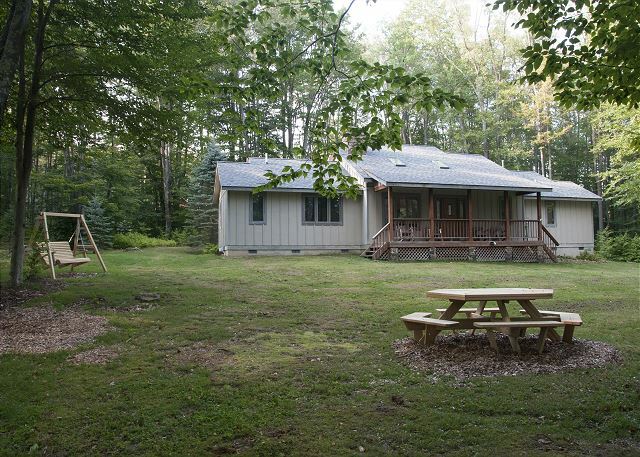 Not only is this unit a 3 bedroom, 2 1/2 bath home but it sits on over 2 acres of level, wooded land. It is just a short walk to Sand Run Lake and hiking trails in Old Timberline and a brief drive to the community access to Dolly Sods! PLUS the owners provide free use of TWO KAYAKS and a CANOE! This home offers a fire pit, swing set, hot tub, deck, covered porch, AND a screened patio. There is no better way to end the summer or fall than to be kayaking and canoeing on a lake!